Introducing the Spork & Cork: Renewable cork carrying case for the incredible bamboo spork! One of our favorite products for both form and function. 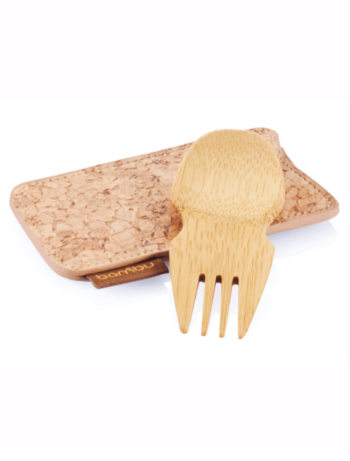 Introducing the Spork & Cork: Renewable cork carrying case for the incredible bamboo spork! Our wildly popular, all-in-one, reusable bamboo Spork just got better with this handy-dandy durable cork carrying case. Not only an attractive design, but practical and functional as well, the Spork & Cork is now easier to find in your purse or backpack, and does a much better job of keeping clean when not in use. As always, the cork and bamboo materials are sustainably sourced from carefully managed forests, and handcrafted by fairly-paid and well-treated artisans.